This one goes out to anyone in the job search funk. You feel like you’ve done it all and you’re worn out. You probably debate with yourself if it’s even worth continuing to look for a job, especially if you hear that some people aren’t even landing-just “touching down” briefly, to be sent back into unemployment several months later. It completely stinks. I’ve been there. I conducted my last job search 9 years ago in an era of Internet dialup where I had to tightly schedule my online time vs. my phone availability for employers to contact me. On top of that, I wanted to relocate. And I was coming from a career in the performing arts-talk about worrying that employers would have no clue about understanding my transferrable skills. I’ve also gotten jobs through networking, headhunters and putting myself in a position to meet the CEO of my target company. I have “worked it”, and this era requires the same tenacity and creativity. So here’s a few inspirational stories that I’m noticing about my clients who are getting interviews and landing. #1: Shortly after being laid off, a client contacted a vendor he worked with regularly. They didn’t have anything for him at the time, but were very interested in his background. They realized he’d be a great addition to their team because he had actually used their product, liked it, and could speak as a peer to their customers. Stop thinking of all sales opportunities as if you’d be selling used cars. Successful salespeople are far more consultative and knowledgeable than pushy-especially in this environment where people recognize value over flash. He contacted them 3 months later, and they were able to make an opening for him. The moral: Be open to new directions and proactively keep in touch with everyone. Don’t assume that they would have contacted you if something opened up. #2: Another client had been on the hunt for over a year. At one point she was very close to landing an opportunity with a local corporation, and at the same time a friend of hers was interviewing at a firm in DC. Unfortunately a few days before they were about to extend the offer to her, the company locked down in a hiring freeze and the job dried up. As fate would have it, the opportunity in DC wasn’t a fit for her friend, but was a great fit for her. She interviewed there, they loved her, and even paid her relocation expenses. The moral: Keep everyone updated on your search. Don’t wait for them to ask you, and if a job isn’t a good fit for you-actively reach out to your friends who may be interested. 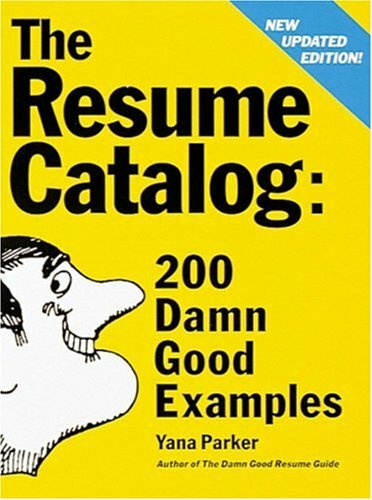 #3: I had done a resume for a client who had a very specific niche job at a large corporation. I was worried that there really wasn’t a large pool of jobs out there for her to choose from. I also made her a softer customer service-targeted resume, and explained to her exactly which positions this would be good for, and how to read job descriptions. She ended up needing to simplify what I sent her even further to land an opportunity as an administrative assistant. The moral: There is no such thing as a one-size-fits-all resume. They will need to be targeted for the position, and the clients who are doing it well are reading job descriptions, pulling out the job requirements and writing their accomplishments relative to what the employer is looking for. Job descriptions are the equivalent of open book tests. They’re telling you exactly what they want-why are you sending them a resume and cover letter that doesn’t fit? Following her on Twitter gives you one great job search tip per day for free!